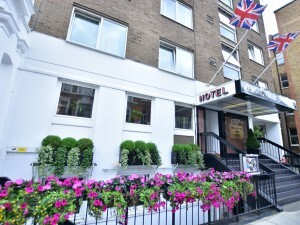 Hotels in London from € 30.40 - Book direct! You are about to book a hotel in London. We would therefore like to provide you with some extra information. London, politically and culturally seen as one of the most important cities of the world, is the capital of both England and the United Kingdom. The city counts about 7 million inhabitants and has loads of historic monuments to offer. London is especially known for some certain attractions. These are the Big Ben, Piccadilly Circus, the Tower Bridge, Tower of London and the London Eye. The Buckingham Palace also has worldwide fame. However, this great city has more to offer. You could for example visit one of the numerous museums which this city has to offer. You could go to the National History Museum, British Museum or National Gallery. London also has a lot of theaters. Some examples are: the O2 Arena, New London Theatre and Royal Opera House. Here you can enjoy one of the many shows. Furthermore, a visit to the House of Parliament is also recommended. You could also go to the beautiful district of Soho. 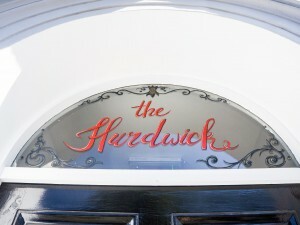 Here you will find loads of hotels, restaurants, bars and clubs. 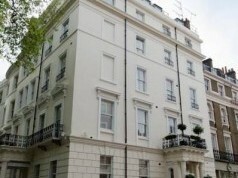 Additionally, London is also a very suitable place to go shopping. Shopping lovers are therefore recommended to pay a visit to Harrods. London is also the city of sports. In the summer of 2012, it was the hosting city of the summer Olympics and the city counts a lot of football clubs. Moreover, London is the city where Wimbledon is being held every year and where the legendary Wembley football stadium is located. London is very easily reachable. You could do this by car, train, boat or plane. With Waterloo Station and King’s cross, the city has several big train stations. Public transport in the city itself is very well-organized as well. It has for example a very extensive bus- and metro network. In addition, the city has five major airports (London Heathrow Airport, London Gatwick Airport, London Luton Airport, London Stansted Airport and London City Airport). 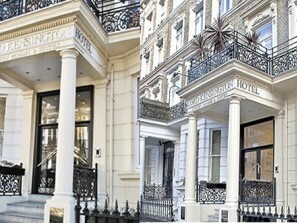 At this very moment, there are 8 hotels in London with availability on hoteliers.com. 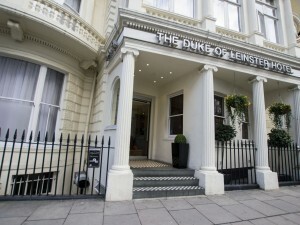 The offer varies between comfortable 3-star hotels and luxurious hotels. 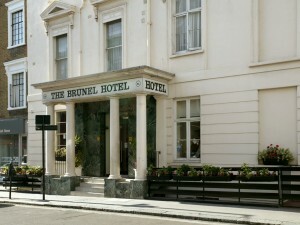 Thanks to this wide offer, you will always find a suitable hotel. 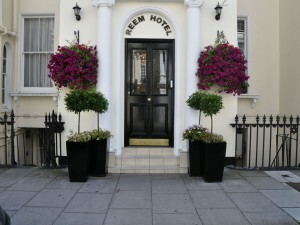 On this page you will find our selection of hotels in London. 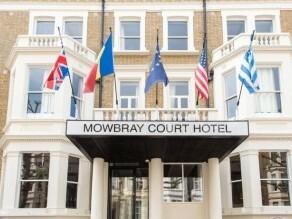 The prices are per room per stay in the hotel in London of your choice.